With access to over 100 charter buses in Cleveland, OH and surrounding vicinities, Shofur will reserve a bus for any occasion. Buses vary from 20 passenger minibuses and executive coaches to 40 and 57 passenger charter buses. 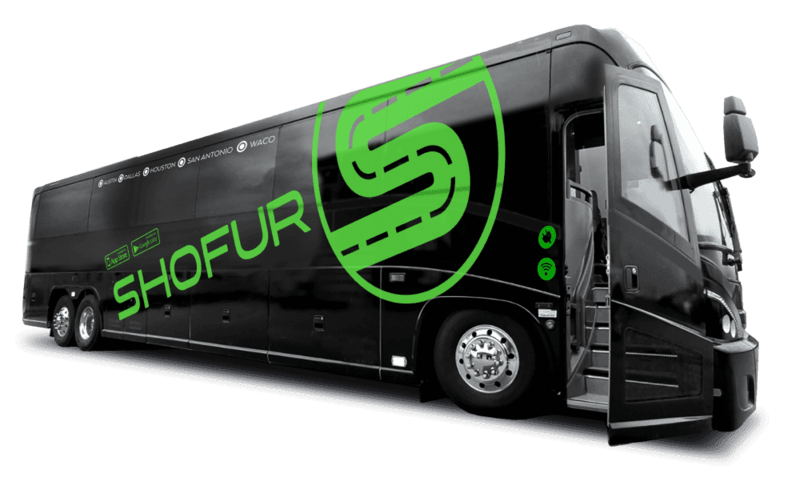 The next time your university, church, sports team, or community is in need of a charter bus call Shofur! Renting a Motor coach in Cleveland? Call Us Today! This Midwestern city in Ohio is situated on the shore of Lake Erie. It's full of diverse cultural attractions, breathtaking architecture, unique restaurants and unforgettable shopping opportunities. Walking through various districts is a great way to experience the sights and sounds of this thriving city. It has actually gained notoriety as one of the best "walkable" cities in the U.S. according to a recent study by "Walk Score." Downtown is home to the Financial District and Civic Center. The vibrant Theater District is also located downtown. The Flats and the Warehouse districts are a mixture of industrial and office spaces. There are various hip bars and restaurants throughout these areas. University Circle is located about five miles from downtown. The Botanical Gardens, Museum of Art, and Museum of Natural History are nestled within the boundaries of this neighborhood. Travelers who are feeling lucky will want to visit the Horseshoe Casino. Ethnic festivals such as the Feast of the Assumption is held in the Little Italy neighborhood while the Harvest Festival is hosted in the Slavic Village neighborhood. The Cleveland Asian Festival is not surprisingly held in the Asia Town neighborhood area. Downtown streets are lined with thousands of spectators during the city's St. Patrick’s parade. Fashion Week is one of the largest fashion shows in the U.S. The International Film Festival has been hosted by the city since 1977. The city's orchestra is considered one of the top orchestras in the world. Some consider it the best in the U.S. Performances are held at Severance Hall in University Circle during the winter and at the Blossom Music Center during the summer. The Rock and Roll Hall of Fame and Museum boasts six floors of rock music heritage. The finest entertainers of this genre are honored at this landmark. Local taverns and clubs showcase homegrown talent for those looking for something off the beaten path. There are plenty of opportunities to catch a baseball, football or basketball game while visiting. Local sporting venues include Progressive Field, FirstEnergy Stadium, Quicken Loans Arena and the Wolstein Center. There’s nothing quite like watching a sporting event live and up close. The West Side Market houses more than 100 vendors selling a vast variety of food and unique items. This market is the oldest running public market in the city. Fans of the classic film “A Christmas Story” will be thrilled to find Ralphie’s actual house used in the filming of the Christmas movie and a gift shop stocked with commemorative items. Aurora Farms Premium Outlets is a collection of more than 70 brand outlet stores nestled within a village-like setting. The city is stocked with antique shops and independent stores just waiting to be explored. A host of tours tailored to specific interests can be found throughout the city. A few examples include tours showcasing the city’s food and art. Trolley, bike, train and trolley tours are also available. Dinner cruises on Lake Erie are a lovely way to view the nighttime skyline. We need 3 charter buses for a company outing in Cleveland. Please let me know the pricing. ? For an outing staying within Cleveland you would be looking at a starting rate $695 per bus. However pricing may change depending on availability and time frame.